Hustak, Alan. "Lorena Gale". The Canadian Encyclopedia, 29 January 2016, Historica Canada. https://www.thecanadianencyclopedia.ca/en/article/lorena-gale. Accessed 23 April 2019. Lorena Gale, actor, playwright, activist (born 9 May 1958 in Montréal, QC; died 21 June 2009 in Vancouver, BC). Lorena Gale, actor, playwright, activist. Lorena Gale, actor, playwright, activist (born 9 May 1958 in Montréal, QC; died 21 June 2009 in Vancouver, BC). Lorna Gale achieved a strong and varied body of work in Canadian theatre, but she was perhaps best known for her role as the high priestess Elosha in the television series Battlestar Galactica (2004­–08). A third-generation Canadian, Lorena Gale graduated from Marianopolis College in Montréal in 1977. She studied at Concordia University and the National Theatre School and took a six-month course in New York with Toronto-born acting coach Paul Mann. In 2005, she received a Master of Arts in Liberal Studies from Simon Fraser University in Vancouver. Gale’s debut professional stage credits were for Montréal’s Black Theatre Workshop and included roles in plays by two groundbreaking African-American playwrights — Lorraine Hansberry’s A Raisin in the Sun and Joseph A. Walker’s The River Niger,winning her the Montreal Gazette Theatre Critics Award for Outstanding Performance in 1981. She appeared as Puck in Montréal's Geordie Theatre production ofA Midsummer Night's Dreamin 1984. After a season with theShaw Festival,she went on to serve as artistic director of Montréal's Black Theatre Workshopin 1985. She then studied playwriting at the Playwrights' Workshop Montréal. 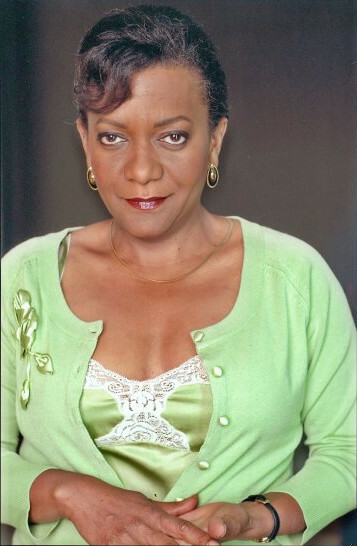 Lorena Gale moved to Vancouver in 1988, where she won a 1991 Jessie Richardson Award for best supporting actress as Normal Jean inThe Colored Museum(1990), staged at the Firehall Theatre. In 1991, she married the director John Cooper, with whom she frequently collaborated. Activism was a lived experience for Gale; she spoke out, promoted Black causes and displayed her concerns for the Black community through her plays, such asAngélique, about an enslaved Black woman hanged in Montréal for arson in 1734. The play won the 1995 du Maurier National Playwriting Competition and was staged off-Broadway in 1999.Je me souviens, her one-woman show about growing up Black in the rich Montréal suburb of Outremont, was a searing yet funny attack on White attitudes in French-speaking Montréal and was a finalist for the 2002 Governor General's Literary Award for Drama. What Colour is Black: Art, Politics and Racial Identity premiered as part of a multidisciplinary performance series at the Grunt Gallery in Vancouver in 1995. The Darwinist, a play about evolution and race, was never produced but received staged readings at Playwrights' Workshop Montréal, Nightwood Theatre and Vancouver’s Playwrights Theatre Centre. The Darwinist also served as her MA thesis at Simon Fraser University. Her last play,The Voice, a monologue about faith and the power of self-reliance, was staged in 2008 by Vancouver’s Solo Collective, performed by Mercedes Baines and directed by John Cooper. Lorena Gale's film credits include Fantastic Four (2005), The Exorcism of Emily Rose, The Hotel New Hampshire,The Chronicles of Riddick,The Butterfly Effect,Barnum, andThe Day the Earth Stood Still. Her television credits include The X-Files, Smallville and the Sci Fi Channel’s Battlestar Galactica, in which she played the high priestess Elosha.